Dubai! With its towering skyscrapers, mammoth malls and outrageous attractions, it’s a city that is synonymous with luxury, extravagance, and generally having more money than sense. Whilst most people visit Dubai more often than they visit their dentist, I myself had never stepped foot outside of the airport – thanks to my parents, who insist on transiting on to Bangladesh to visit the same damp field they see every year. You can imagine then, that when my comrades asked if I would like to stop off in Dubai before heading on to our elective in Thailand, I nearly snapped my own neck from nodding so vigorously. With just a few days to make up for years of lost time, I was determined to visit the most popular and (relatively) budget-friendly establishments that Dubai had to offer, beginning with Slider Station. Located in Galleria Mall, this chic American diner takes inspiration from a 1940’s “gas station”, and thereby embodies the UAE’s two most-prized national treasures: burgers and petroleum. Together with its breakfast-based alter-ego – “The Cocoa Room”, it has taken the middle-east by storm, stirred up much excitement worldwide, and had rocketed to the top of my Dubai list before I had even stepped outside of my house. Needless to say, this was one restaurant that I was very excited about visiting. Having put myself through a strict cutting diet for several months, it was time for my abdominal fat to return with a vengeance, and so, I began proceedings with a lotus biscoff milkshake. Rather remarkably, despite having a relatively thin consistency, the milkshake retained a rich, full flavour that was followed by a powerful, malty afterkick of biscoff. 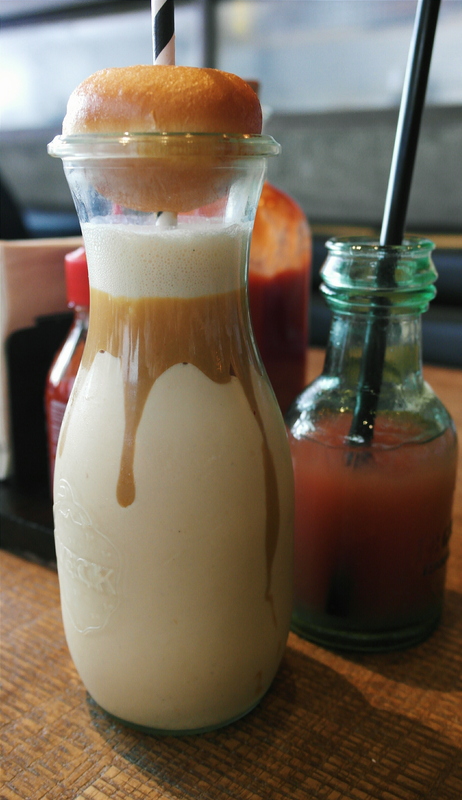 Delicious and decadent, this is one milkshake that you simply must try. Next to arrive was my order of a “coca cola short rib”, one of Slider Station’s signature items. 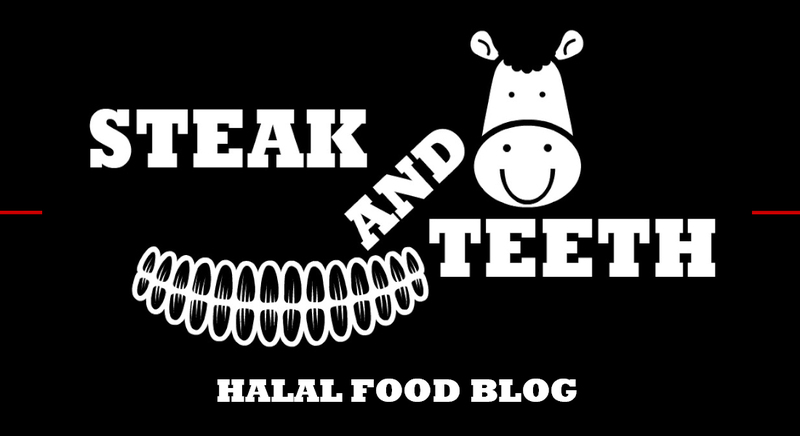 Though it was well-presented, with a thick, black, shimmering coat of coca cola sauce, and a crunchy “confetti” topping, I was astonished by the fact that it consisted of just two half ribs. Too polite to ask as to where the rest of the rack was, I dug in and found both the beef and the fat to be extremely soft and tender to the fork, shredding with absolute ease. Although the cook was slightly uneven, and some parts were a little dry, overall, it was a satisfying item that carried a pleasantly muted, subtly sweet flavour. Of course, the sliders were the headline stars in this show, and like Tom Cruise in a crisp suit or a Bengali with a bad haircut, the famous dangerous slider made a noticeable entrance despite its small stature. 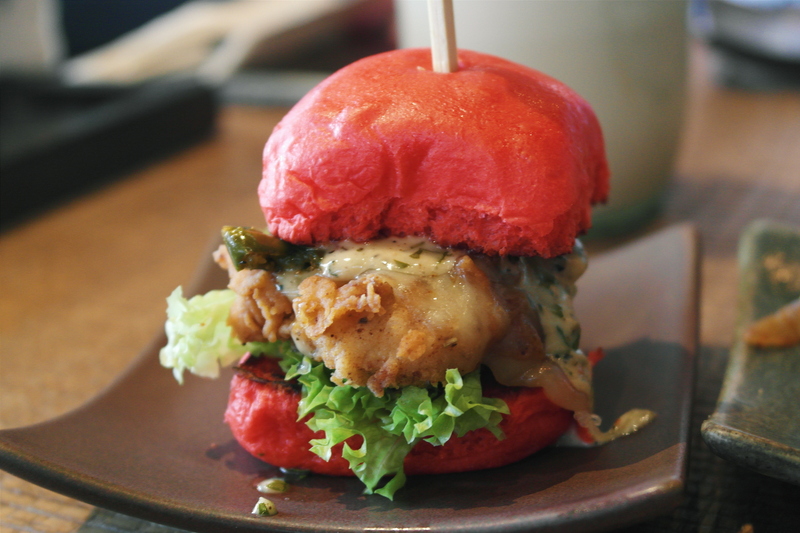 Its bright red beetroot bun delivered a subtle, musky essence, whilst the chicken within was soft, moist and tender, and coated in a crispy, well-seasoned buttermilk batter that worked wonderfully with the mildly spiced aioli. Though it vanished in but a blink of an eye, it was every bit as delightful as I had imagined it to be. 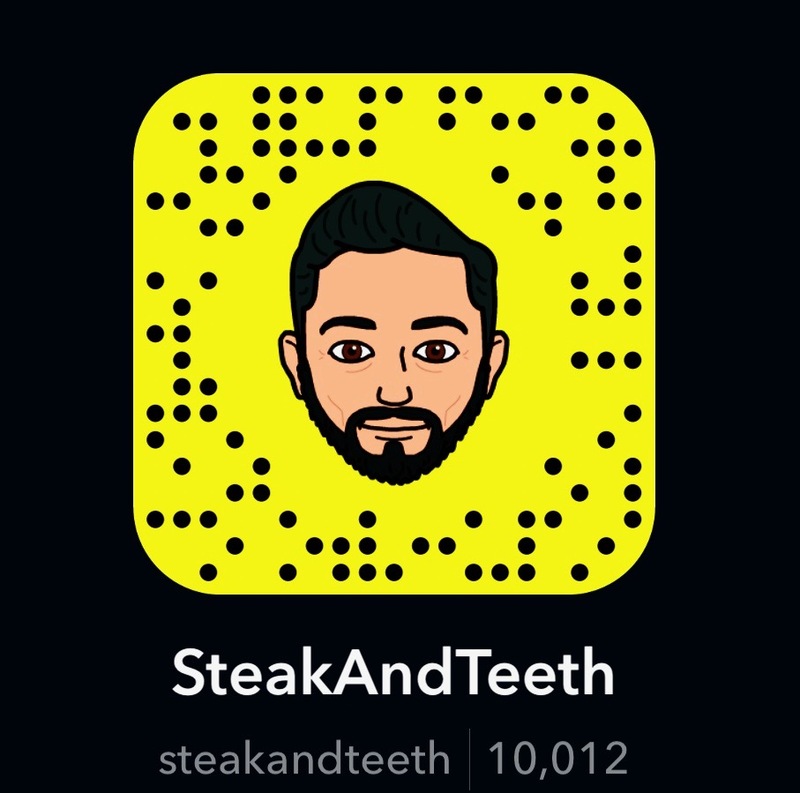 Of course, one does not simply eat a single slider, and the “wagyu truffle cheesesteak” sounded like the perfect partner for the “Dangerous”. Filled with soft, tender wagyu and mature, gooey cheese, the cheesesteak delivered an array of simple and satisfying flavours, but next to the dangerous, it wasn’t quite as impressive. Rather unexpectedly, our waiter provided us with a plate of complimentary fried chicken, apparently for the purpose of “obtaining feedback”. Though I cannot say whether this is a regular occurrence for other customers, if we received special treatment because we clearly looked like tourists, or whether they saw Afroman and thought “he must be a chicken expert”, it was certainly a fantastic gesture. 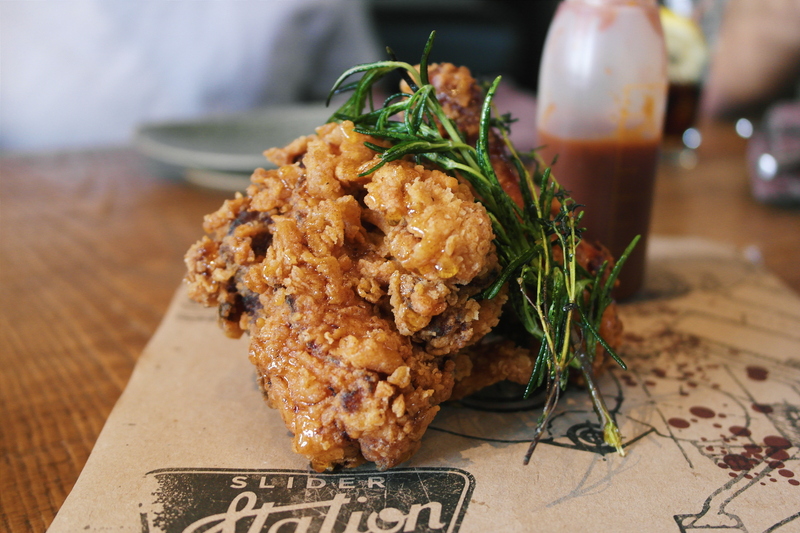 The fried chicken was soft, tender, and possessed a delicate, crispy skin that was well-seasoned, but overall, it needed a little more kick in its flavour. The generosity did not end there however, and our waiter promptly delivered a “cereal killer” to our table. 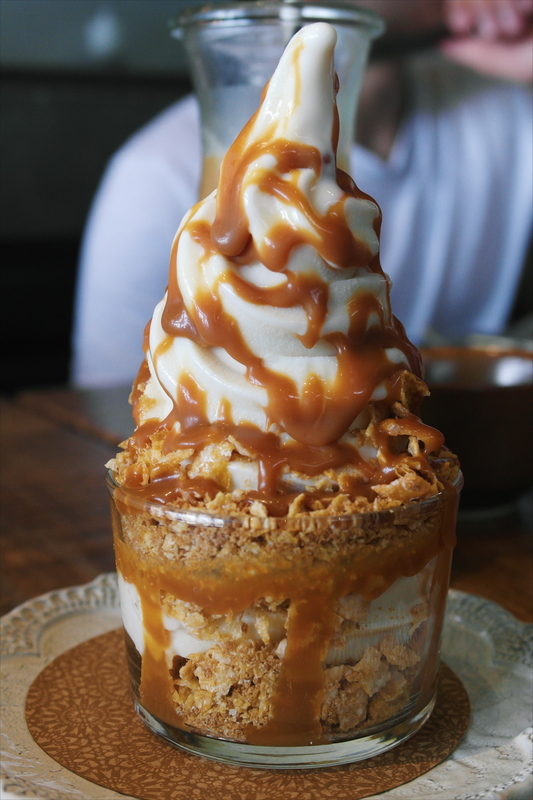 Like any cereal-based sundae, it consisted of thick and smooth vanilla ice cream, topped with a rich and sticky toffee sauce, and a crunchy mess of crushed cornflakes, which, together, provided a great range of contrasting textures. Unimpressed by our hotel’s breakfast buffet, I returned to Slider Station (or “Cocoa Room” as it’s known before 12pm) just a few days later, and ordered a plate of white chocolate and raspberry pancakes, and a cup of Turkish coffee. First to arrive were the pancakes, which were so exceptionally soft and fluffy that they could be scratched away with nothing more than a fork, revealing a light and airy texture within. Thankfully, they were almost completely plain, allowing the topping of crumbly white chocolate shavings and the layers of raspberry jam juxtaposed within to provide most of the flavour. Though the chocolate promptly melted and meshed into the pancakes to provide a rich sweetness, a little more raspberry jam was needed to unify the components and provide a touch more moisture to the plate. (Not that I attempted to eat the plate). Though the Turkish coffee was well-presented – cezve and all, I found it to be surprisingly underwhelming. Possessing a light body and mouthfeel, it carried a strong set of floral notes, but was very flat in its delivery and lacked an adequate amount of strength. 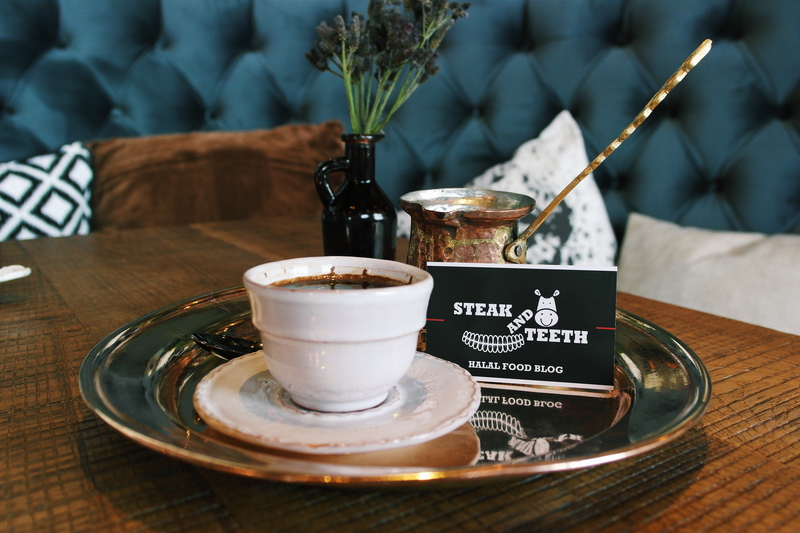 The biscoff shake cost AED28 (£5.90), the coca cola rib cost AED80 (£16.80), whilst the dangerous and wagyu sliders cost AED20 (£5) and AED35 (£8) respectively, amounting to a total bill of AED163 (£34). 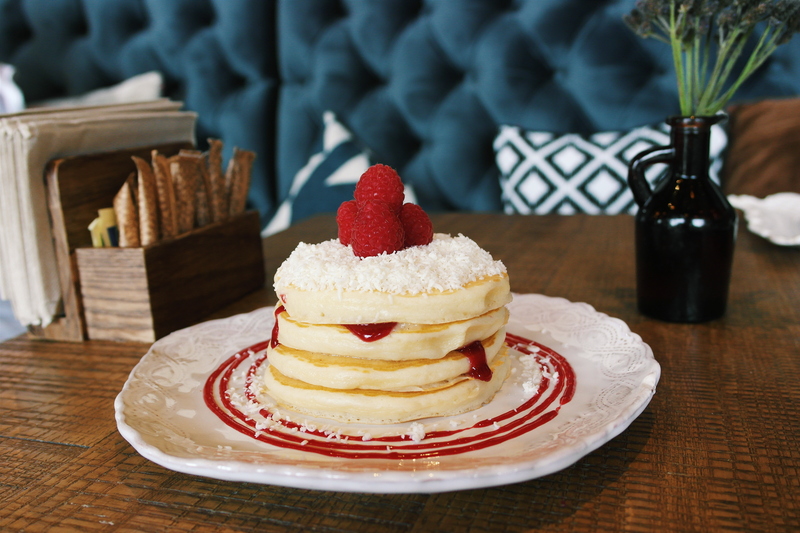 Meanwhile, the pancakes and coffee from Cocoa Room cost AED50 (£10.52) and AED22 (£4.63) respectively, amounting to a bill of AED75 (£15.80). Generally, sliders cost between AED20 to AED35, burgers cost between AED40 to AED110, and drinks range from AED14 to AED28. Although the food at Slider Station is of a fantastic calibre and quality, I can’t help but feel that some of the prices are far too steep. 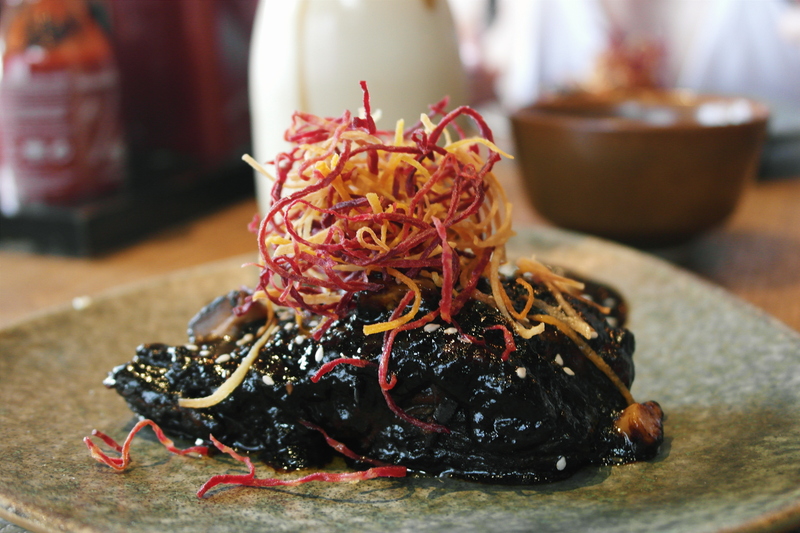 Take the AED80 / £16 price tag for the minuscule portion of braised ribs. As well as denting my soul and my pride, it earned me a death stare from Ulcer, who had also ordered it on the basis of my uninformed recommendation. Having survived his attempt on my life, I can say it’s highly unlikely that you’ll find a cheap meal at Slider Station, but you will almost certainly have a satisfying one. As for the service, you can expect it to be just as charming as the food, with friendly and welcoming waiters and waitresses on hand to serve you every step of the way. However, whilst the staff are well co-ordinated as a team, individually, they need to exhibit a little more attentiveness when the restaurant gets busy – (which seems to be all the time). 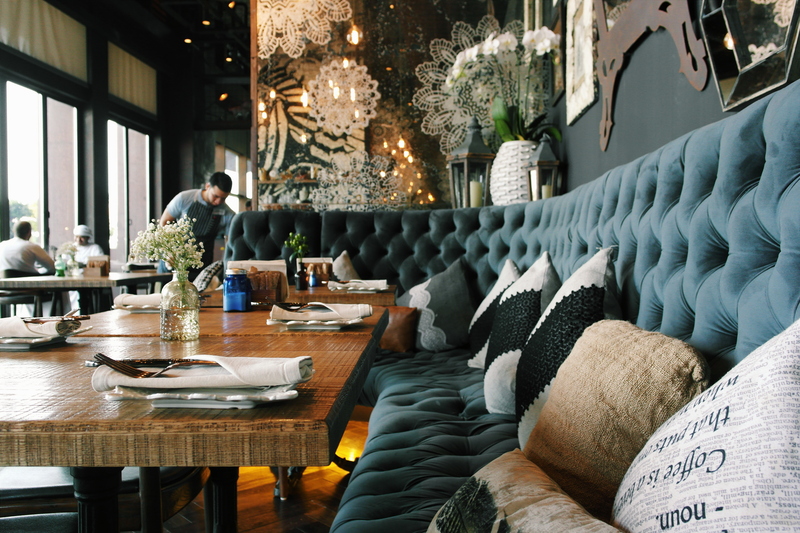 In keeping with the exuberance of Dubai, the venue itself employs a rather grandiose decor for a restaurant that is at its basic level, a simple burger bar. 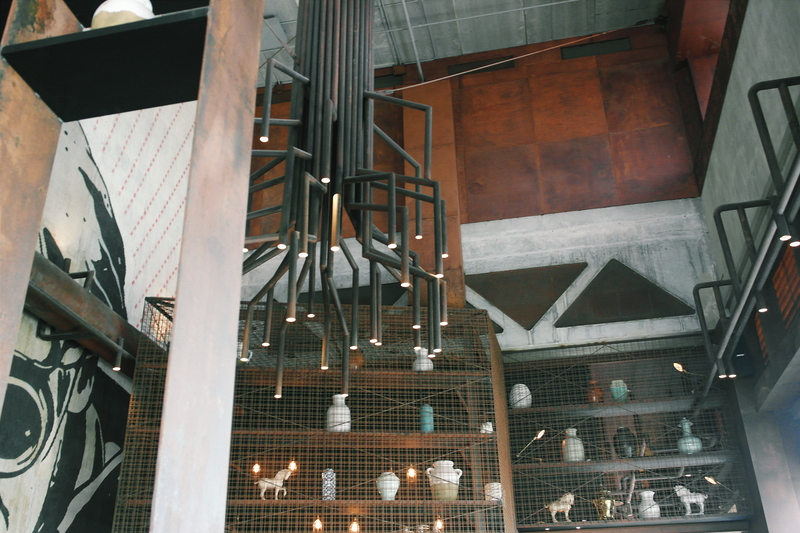 As you walk in through the rather modest front entrance, you’ll be greeted by a high, open ceiling, adorned with rust-coloured beams and pipes that sit in stark contrast to the more graceful seats and sofas below. Elsewhere, monochrome murals dominate the stone-coloured walls, whilst the polished wooden floors emit an inviting, homely sheen. There’s even an al-fresco dining area for anyone wishing to combine their lunch with a sauna session in the Dubai sun. For the most part, the entire decor seems to resemble a car crash between an ancient gas station in rural Nevada, and the lobby of a mid-range, four-star hotel, in what can only be described as a bizarre but beautiful blend of rustic industrialism, and elegant modernism. The yin-yang philosophy does not end there however. Rather, the restaurant’s split personality is further exemplified in its ambience, which seems to vary considerably between its two identities. In its original form as Slider Station, the restaurant emits a lively, upbeat atmosphere that resonates across its wide open spaces, whilst its a.m alter-ego of Cocoa Room takes a far more laid-back approach, fostering a mellow and peaceful environment that embodies the very definition of a “lazy morning”. With its delightful food, elegant decor and versatile ambience, Slider Station and The Cocoa Room succeed in meeting the high standards of casual dining that are expected of them. By no means are they as flawless as some would make them out to be, but for the most part, they provide a high-octane American experience that upon reflection, is actually well worth the relatively steep set of prices stamped across their menu. In a city that can only be described as a life-shortening paradise for the halal food enthusiast, Slider Station does well to stand out and remain unique, and in my opinion, should remain firmly within your Dubai bucket-list. 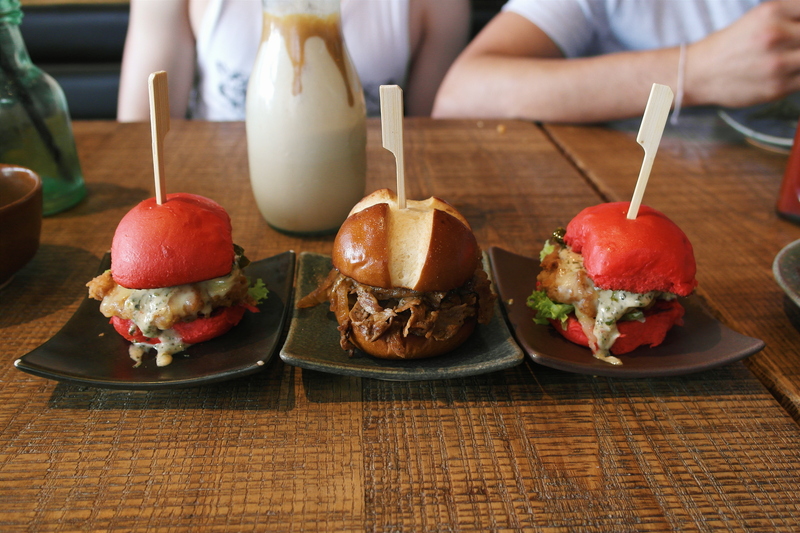 If not for the burgers, the milkshakes, or the desserts, then at the very least, for the chance to unleash your inner-child and be idiotically besotted with their brightly-coloured sliders.